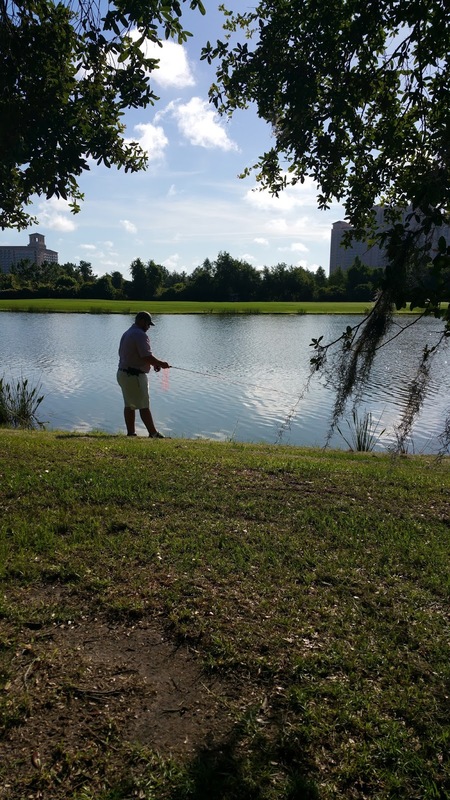 The day before the opening of the IFTD/ICAST Show in Orlando, the folks from the American Fly Fishing Trade Association (who put on the IFTD Show) hosted a day on the water for show attendees to get products in hand under actual fishing conditions. 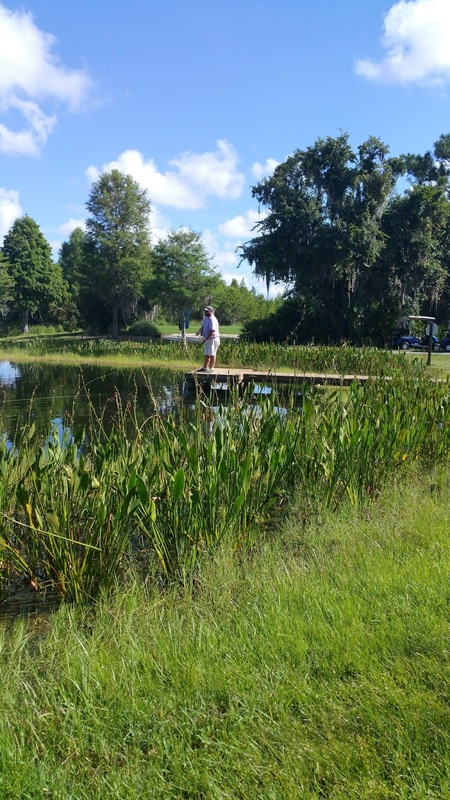 Although temperatures were pushing 100 degrees by lunchtime, we couldn't have asked for a prettier day to be fly fishing on a golf course! It was so much fun, and such a great way to experience new fly fishing products, we can't wait to do it again next year! Here's some photos from the day. Enjoy! 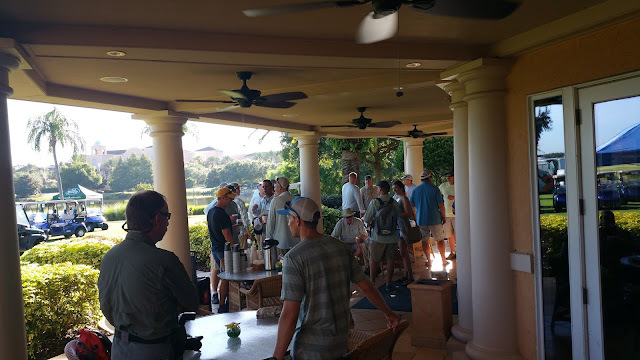 The coffee and pastry gathering before the shotgun start. An incredibly beautiful course, we felt very fortunate to be able to fish such a gorgeous setting. 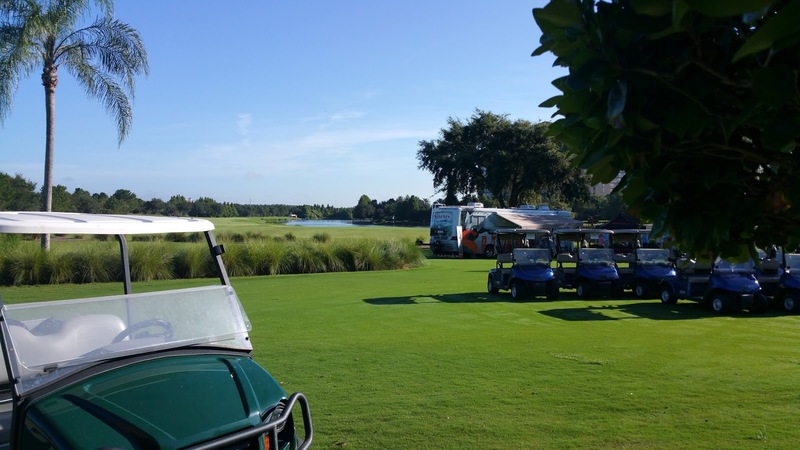 We were even issued a golf cart to cruise around the course between vendor tents. The first stop of the day was with the Flymen Fishing Co. and a chance to fish for trophy bass with their new Surface Seducer Double Barrel Poppers. I'm a huge fan of fishing for bluegill and bass with poppers and these new ones did not disappoint. The double barrel shape and deep concavity made these poppers "pop" better than any I've used before! 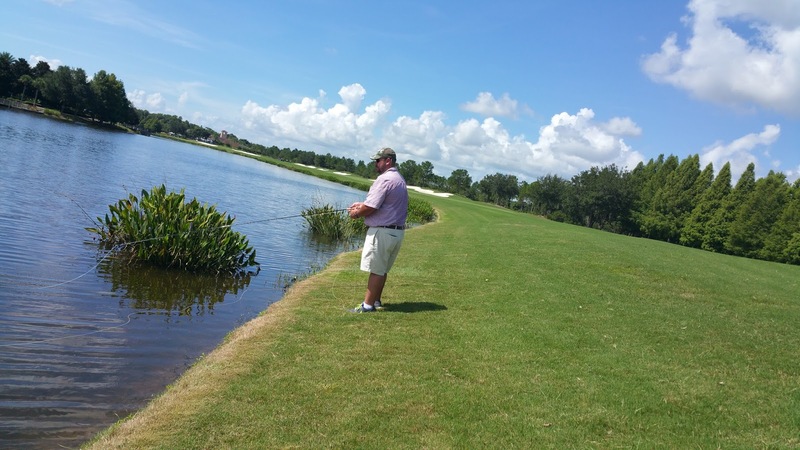 The water hazards at the Ritz Carlton Orlando Grade Lakes are actually trophy managed bass ponds. And, since they were in the middle of the roughs and greens of a golf course, there was almost always plenty of back casting room. Our next stop was the Douglas Outdoors station where they were demoing their new Sky series of fly rods. The 2 weight had a great feel to it and cast very smoothly. Unfortunately I hung my fly on the weeds you can see in the background and snapped it off before I could really get some good fishing in! I enjoyed using the Douglas Sky and hope to get a chance to try it again! My apologies to my readers (and the folks at G. Loomis) for the terrible picture quality! It was such a bright sunny day that my cell phone camera was struggling and I couldn't see the screen to QC the pictures as I took them. I don't like to use stock photos, though, so we're stuck with these! 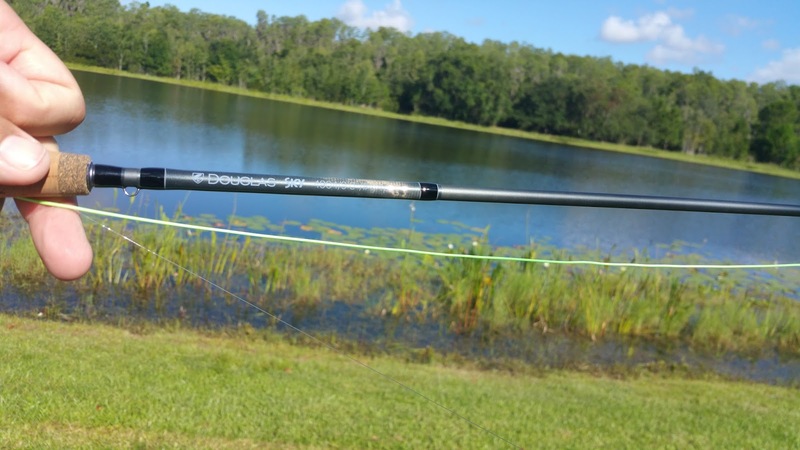 G. Loomis had the new Asquith rods at their station. 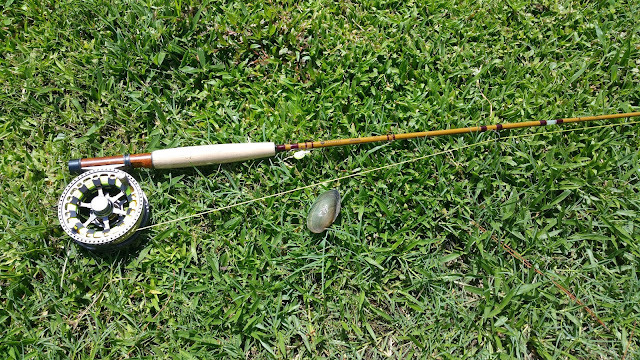 Designed by casting champion Steve Rajeff, the Asquith rods are touted as the fly rod of the future. Featuring titanium guides, Shimano's Spiral X blank, light weight and a fast action, these new rods are all about high line speeds. 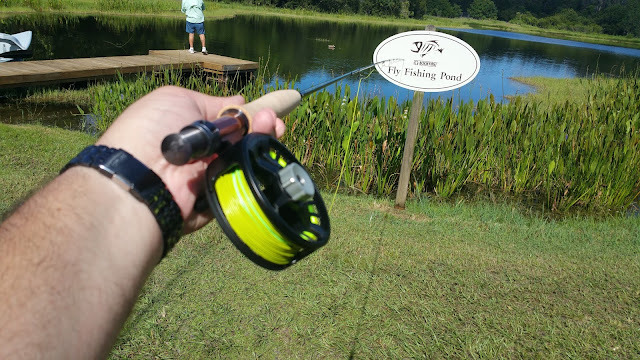 They also let me cast a PRO 4x Shortstix rod. 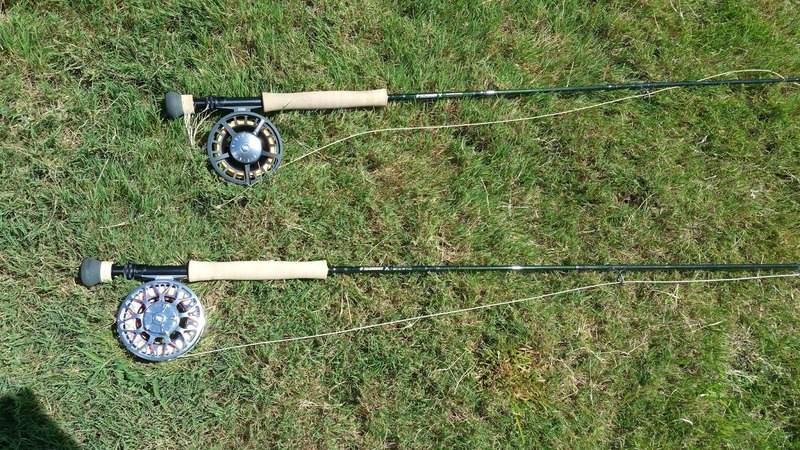 These short, but quick loading rods are designed to put a big, bulky fly exactly where you want it, FAST!!! You might see one added to my new saltwater arsenal before too long! 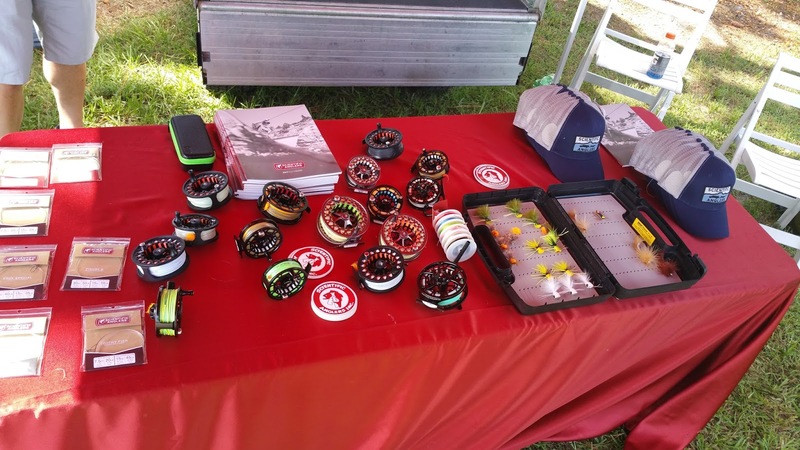 The Scientific Anglers booth had a full complement of lines, leaders and tippets to try on the pond. I tested one of the new textured shooting lines and was definitely impressed by the smoothness. The sound from the line running through the guides, though, made me think the line needed cleaning!! I really enjoyed fishing this little 6' 2 weight Hardy Sirrus Sintrix Glass rod. 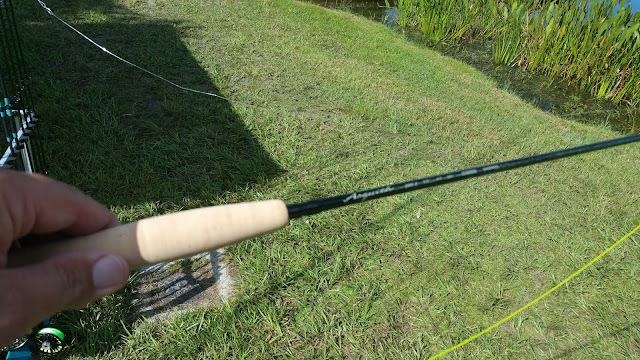 I don't have a whole lot of experience with the new fiberglass rods that have emerged, but I think Hardy did something right with this one. It's has such a smooth, relaxed cast and excellent accuracy and presentation. This was also the only station of the day where I got a bite! I wish I could've hooked him, so I could fight a fish with this great little rod. This would be a fantastic choice for the little North Georgia native brook trout!!! Rio and Sage partnered together on a station to demonstrate the new Sage X rods with Rio's Summer Redfish line. With temps pushing 100 degrees, fishing conditions were right in the Redfish line's wheelhouse! The flyline is weighted and tapered to facilitate accuracy on short casts while maintaining a delicate presentation for spooky fish. The stiff core and Tropical line coating ensure that the line won't wilt under hot sunny conditions. 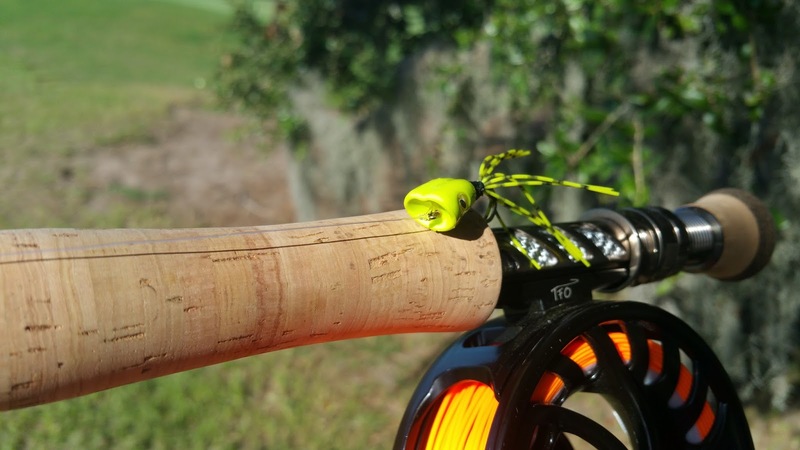 The Sage X rods new fast-actions taper keeps loops tight and recovery times quick to get that next cast in the water fast. Just me. Doing what I love and feeling very fortunate for the opportunities and places I get to cast a line.